Once a Westinghouse manufacturing plant, the 1920’s era building at 7800 Susquehanna Street in Homewood is now a business incubator for artists, light manufacturers and job training after Bridgeway Capital purchased & redeveloped the property. For decades, Homewood has labored under its image as a blighted, crime-infested corner of the city that certainly doesn’t inspire entrepreneurship. But community leaders are trying to recast the East End neighborhood’s reputation, and a small business expo scheduled for Saturday is meant to jumpstart that initiative. “We want entrepreneurs and others in Homewood to lead the redevelopment efforts,” said Vernard Alexander, president of the Homewood-Brushton Business Association, one of the groups spearheading the event. Organizers deliberately planned the expo for a weekend and included family-friendly activities in the mix to encourage the community to attend, said Marteen Garay, director of entrepreneurship programming at Urban Innovation21, an event sponsor. “We want Homewood to be our primary audience and to get residents to be excited about supporting small business in their community,” she said. 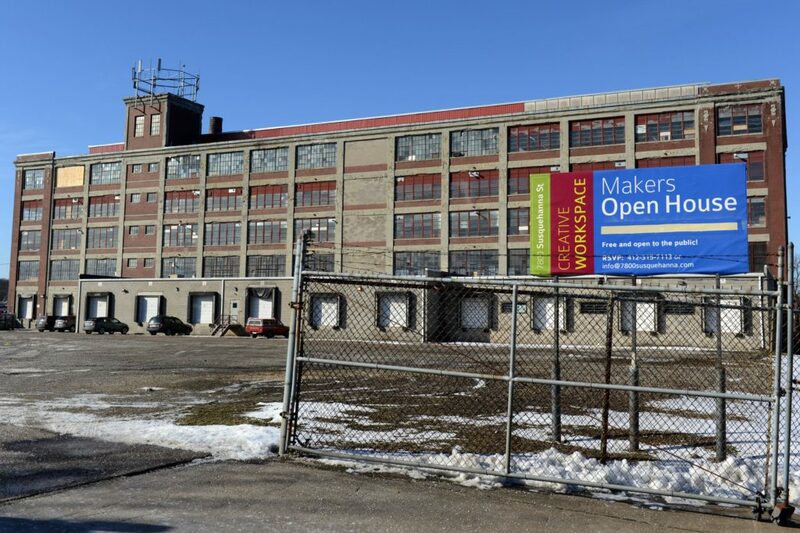 The event will take place 9 a.m. to 4 p.m. at 7800 Susquehanna St. where a sprawling former Westinghouse factory has been transformed into spaces for small firms and artists. The expo, to be held on the first floor of the rehabbed building, includes education sessions and workshops in the morning for entrepreneurs and business owners, and entertainment and food for the public in the afternoon. The morning line-up — which requires registration and tickets priced from $30 to $100 — includes sessions on business financing; social media and e-commerce; and incubators, accelerators and coworking spaces. Following is a lunch that will feature a keynote address by William Generett, president and chief executive of Urban Innovation21, a public-private partnership based in the Hill District that fosters entrepreneurship in underserved communities. The free-to-the-public expo from 1 p.m. to 4 p.m. will feature an exhibition of companies and business consultants, a musical performance by students from Westinghouse High School, food tasting, face painting, and an elevator-pitch-style business competition with cash prizes. “My vision is for entrepreneurs to receive the necessary resources to elevate their businesses and meet and obtain new customers,” said Mr. Alexander. By inviting the public for the afternoon, organizers hope to “promote Homewood businesses … and really showcase the neighborhood,” he said. The idea for the expo started last year around the same time a class from Penn State was immersed in studying how to market Homewood to potential investors and businesses. The Penn State Center Pittsburgh, based at the Energy Innovation Center in the Hill District, connected the Homewood-Brushton Business Association with a communications class from the school’s main campus in University Park. Students from the class traveled to Homewood to research the community and create a strategic branding plan. Among the neighborhood’s challenges, the students’ analysis found, were poverty, high crime, unemployment, high dropout and absenteeism rates among students, and a disproportionate number of renters compared with homeowners. Once a bustling, middle-class streetcar community in the first half of the 20th century, Homewood’s population has plummeted from nearly 31,000 in 1940 to a current estimate of about 4,500 while the commercial districts along Homewood, Brushton and Frankstown avenues have a vacancy rate of 27 percent. Yet the district has strengths to build on, the Penn State report said, including its churches, arts groups, cultural festivals, an historic Carnegie Library, the Homewood Cemetery where some of Pittsburgh’s most significant families are buried, and community organizations eager for revitalization. Some businesses that are “standing strong,” the report found, are Perry’s Honeydripper, a grocery and take-out market on Frankstown Avenue; and the Greater Pittsburgh Coliseum, a concert and event venue. “Homewood still has the skeleton of what could once again become a merging of art, music, food, and prospering business district,” the Penn State report said. To register for the expo, go to www.homewoodexpo.eventbrite.com.